October 1 4 days ended the operation of 2018 year. 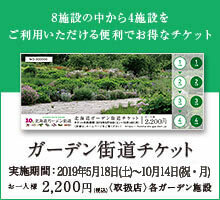 Next year will be the anniversary of the 10 anniversary of the Hokkaido Garden Highway. We have various benefits etc, so please come and join us next year. The next business term is as follows.